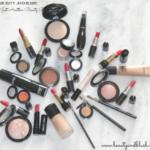 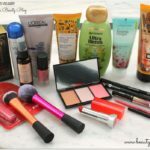 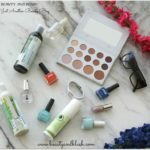 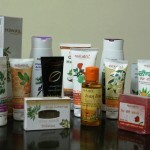 Hello everyone,today I am doing a mini haul post.These days it’s raining discounts everywhere,so I took full advantage of these discounts and ordered quite some stuff from different websites.I am yet to receive many more products so I thought I will share with you the products that I have got so far. 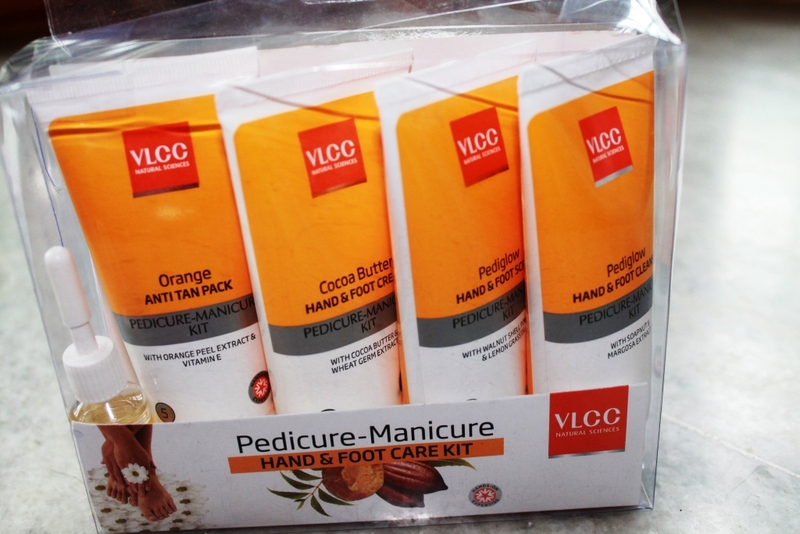 To start with,I have bought a lot of skincare products,I have been a little easy on the makeup stuff these days.I got this VLCC Facial kit with a manicure and pedicure set and a face mask and a face wash. 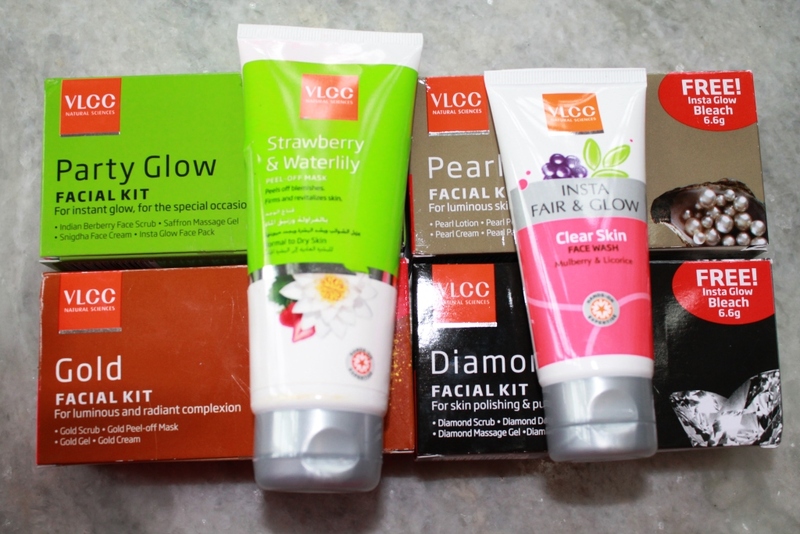 I LOVE getting facials done,they let my skin breathe,I feel so relaxed after getting a facial.I get a facial done every month and love the whole de-stress feeling I get after a facial appointment.I got these 4 facial kits from VLCC. 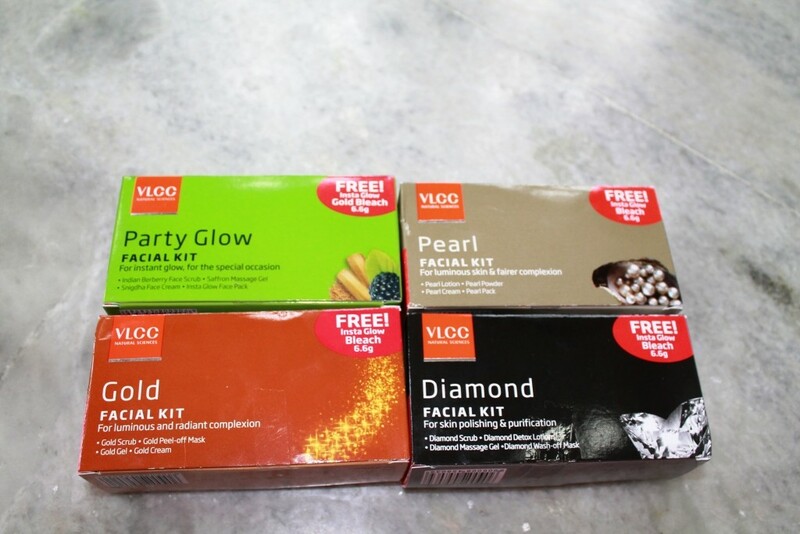 I find VLCC facial kits pretty decent and they work pretty well on my skin.The first one is the Party glow facial kit,second is the Pearl facial kit,third is the Gold facial kit and the fourth one is the Diamond facial kit.All the kits are a one time facial kit. 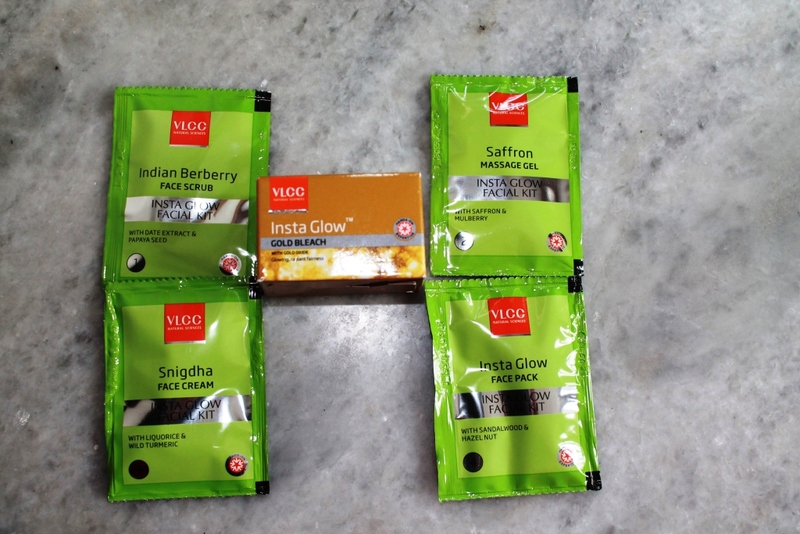 The Party glow facial kit contains 4 sachets,first is the Indian Berberry Face Scrub,second sachet is a Saffron Massage Gel,third is the Snigdha Face Cream and the fourth is an Insta Glow Face Pack.There is a free Insta Glow Gold Bleach in this box as well. 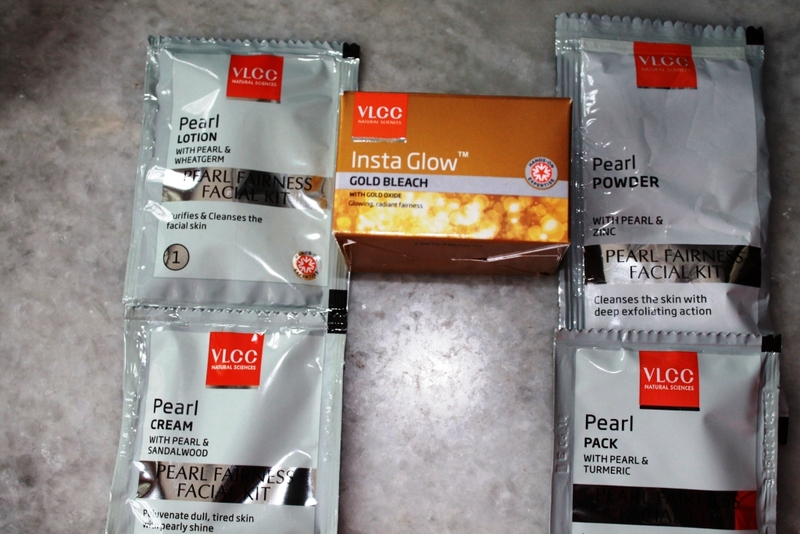 The Pearl facial kit also has 4 sachets,first is the Pearl lotion,second is the Pearl powder,third is the Pearl cream and the fourth one is the pearl pack.This box also contains a Insta glow bleach. 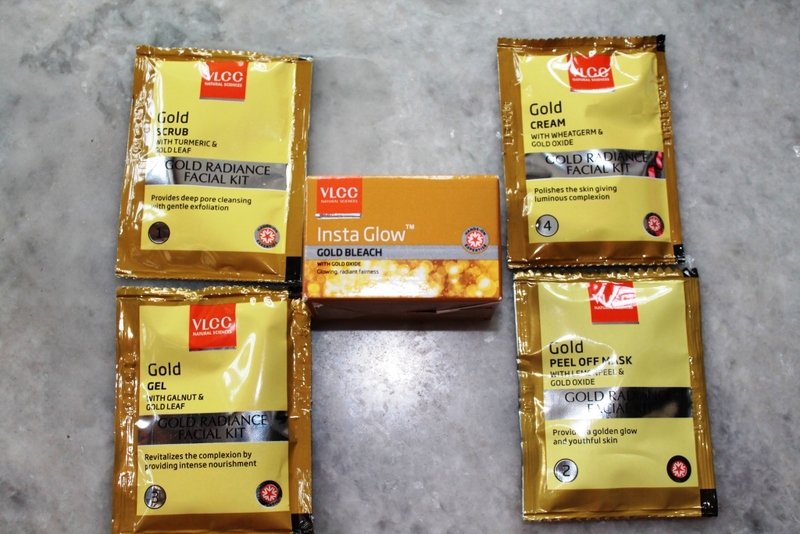 The Gold facial kit contains a Gold scrub,a Gold peel-off mask,a Gold gel and a Gold cream with a Insta glow bleach as well. 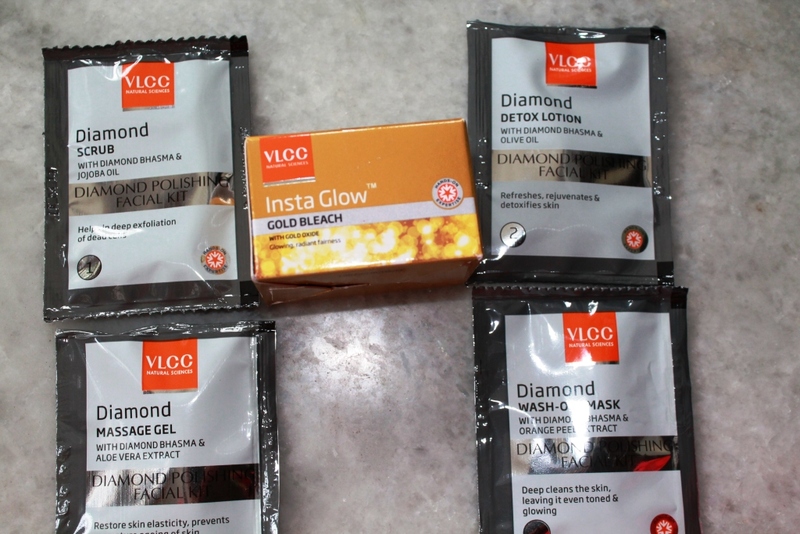 The Diamond facial kit contains a Diamond scrub,a Diamond detox lotion,a Diamond massage gel and a Diamond wash-off mask with a Insta Glow bleach as well. 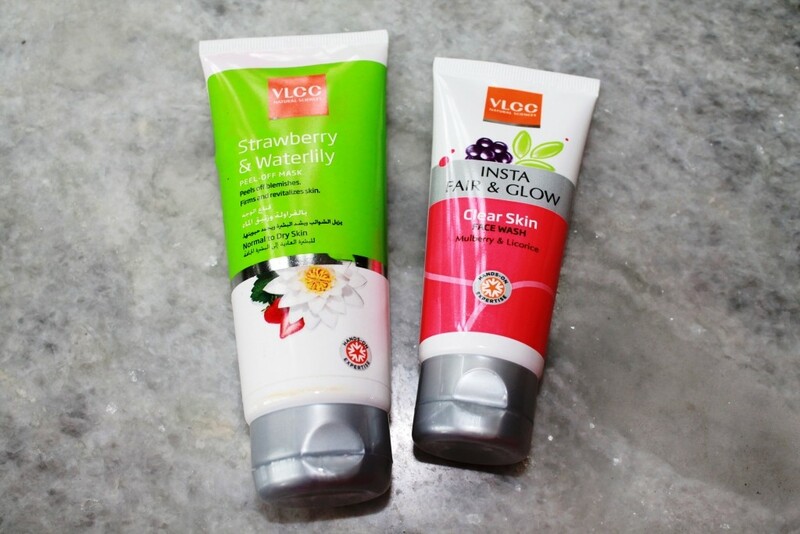 Then I got one Strawberry and Waterlily peel-off mask and a Insta Fair and Glow Face Wash.
Next I got a Manicure and Pedicure Kit with four tubes and a cuticle oil. 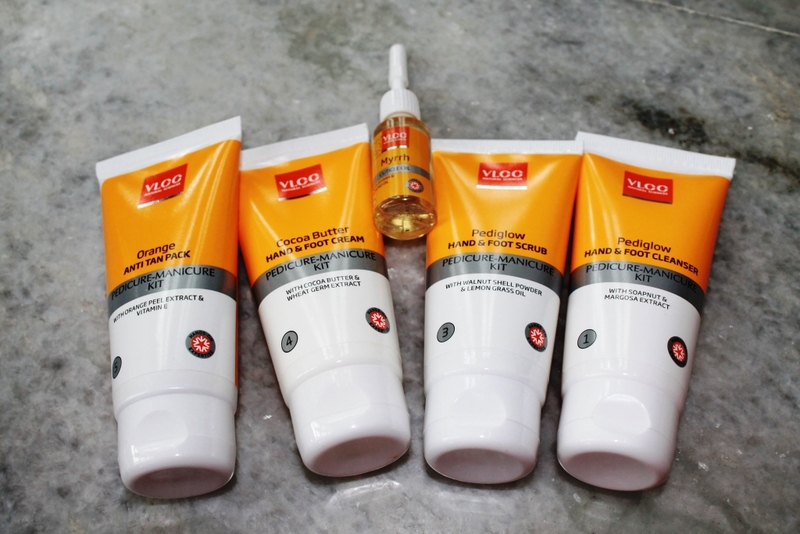 First is an Orange anti-tan pack,second tube is a hand and foot scrub,third tube is the hand and foot cleanser and the fourth tube is the hand and foot cream.I also got a tiny bottle of cuticle oil with this pack. 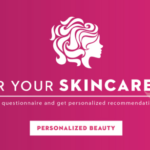 At last I also got a free face cleaning system or a massager with this kit.It is in this cute baby pink color handle with 5 attachments and I love free gifts so it is a yayyy for me.I don’t think so that I will be using this on my face because it is not of a very good quality and I do not want to play with my facial muscles so I will think of what should I do with it,use it on my legs or arms,will think about that.